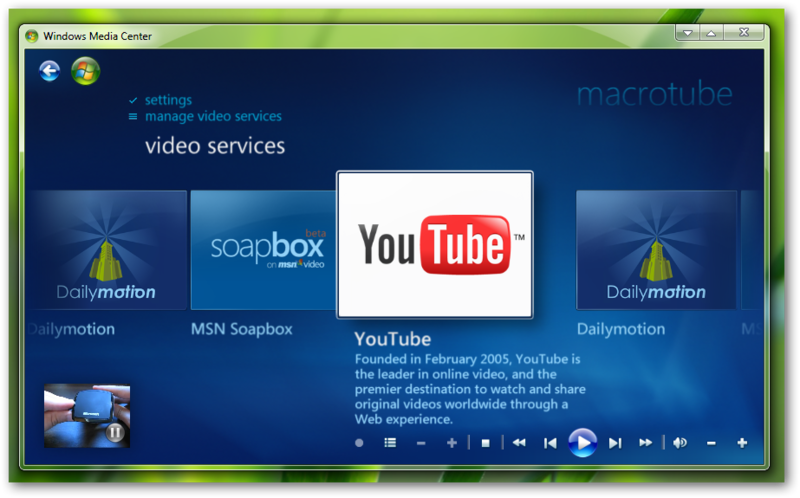 You can search and watch Youtube videos or MSN,DailyMotion Videos in your Windows 7 Windows Media Center without the need of opening browser page. Thanks to MCExtended of thegreenbuttom.com for developing this nice piece of plugin. Steps are very easy. Download his plugin matching with your version (x86/x64) of Windows 7. 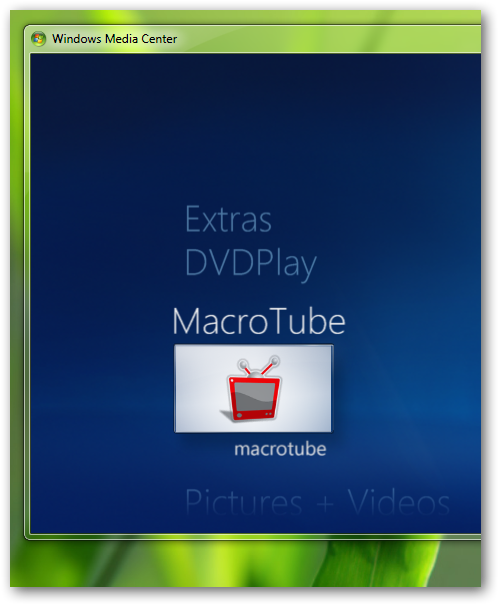 Note: It is better to install the Internet TV plugin for Windows Media Center from Microsoft before installing this plugin. As you can see, the review video in You tube is running nicely! 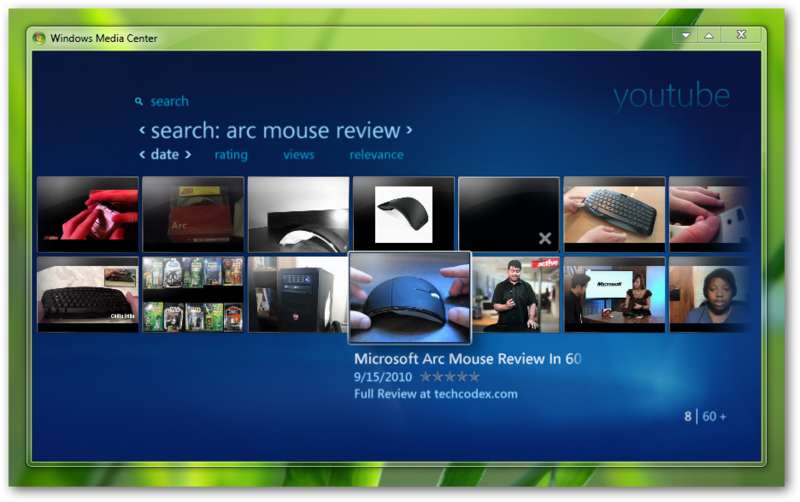 Not all version of Windows 7 Supports Windows Media Center. 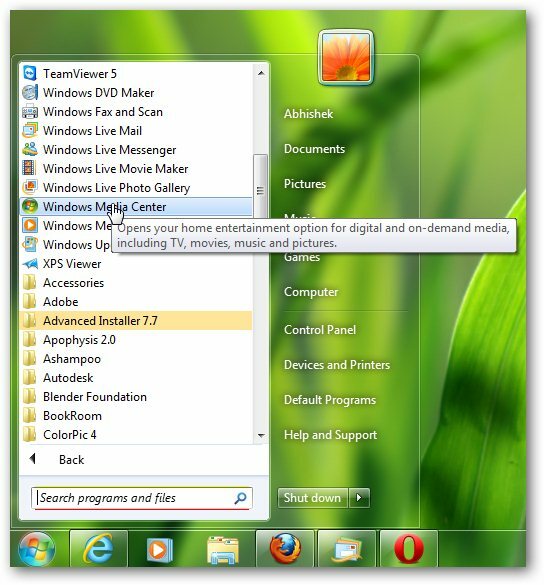 Windows Media Center is provided with Windows 7 Home Premium upwards. It is advisable to have atleast 2 GB of RAM to run Windows Media Center smoothly. You will need a high speed Internet Connection. Your ISP may have blocked Youtube service to be played out of browser due to unknown reason(s), in that case, you can not watch YouTube, but other channels will work nicely. This Article Has Been Shared 1007 Times! Create your own bootable Windows 7 DVD for OEM PCs not supplied with installation disk. 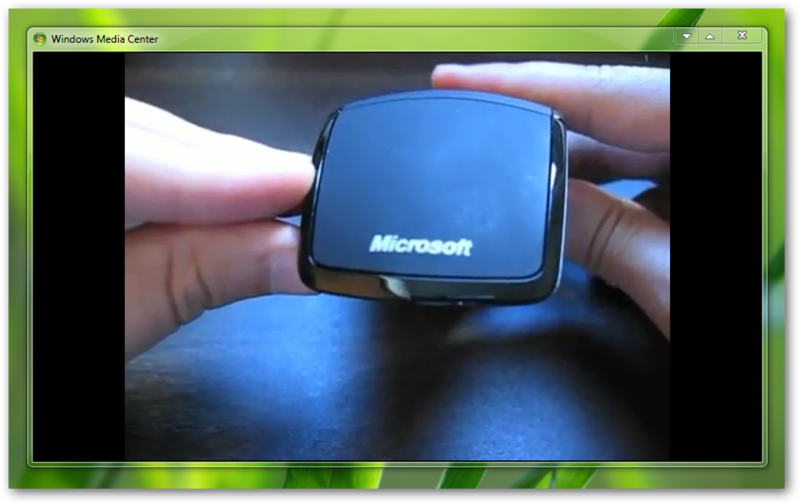 Cite this article as: Abhishek Ghosh, "Watch YouTube,Dailymotion,MSN Videos in Windows Media Center," in The Customize Windows, November 21, 2010, April 24, 2019, https://thecustomizewindows.com/2010/11/watch-youtube-dailymotion-msn-videos-in-windows-media-center/.